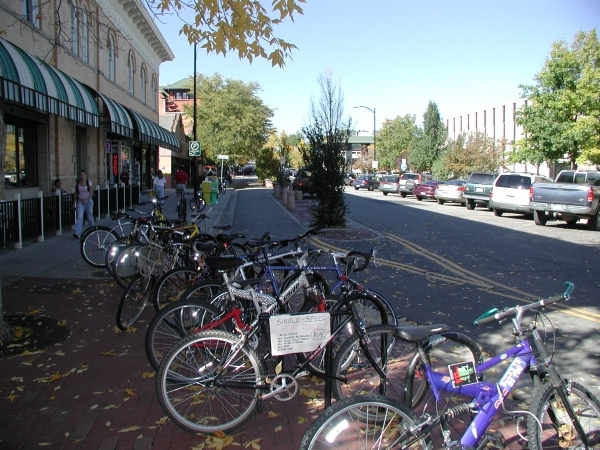 Small Town Downtowns are commercial areas of towns and small cities that have some standing as the traditional downtown of that town or city. They are distinct from Downtown Main Streets not just in terms of scale but also might have a less robust mix of uses. For example some small downtowns might no longer have significant amounts of residential uses present within the downtown. Some smaller urban places do not have downtowns, per se, and may aspire to creation of activity centers that could function as downtown-like places. Such newer activity centers are more likely to fit into one of the other categories below, but planning for them could use this category as a planning and design standard. 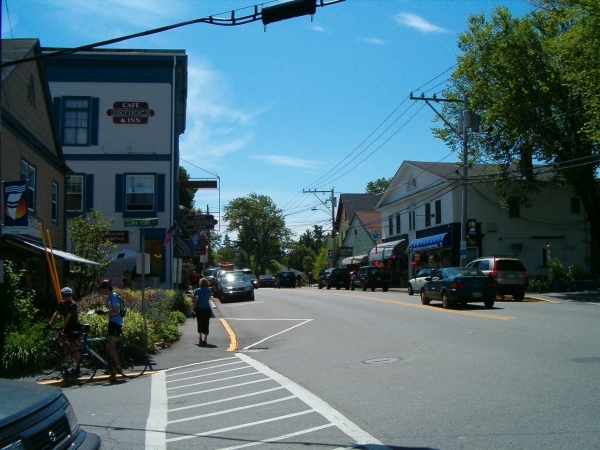 The principal through street in many small town downtowns is a state highway.